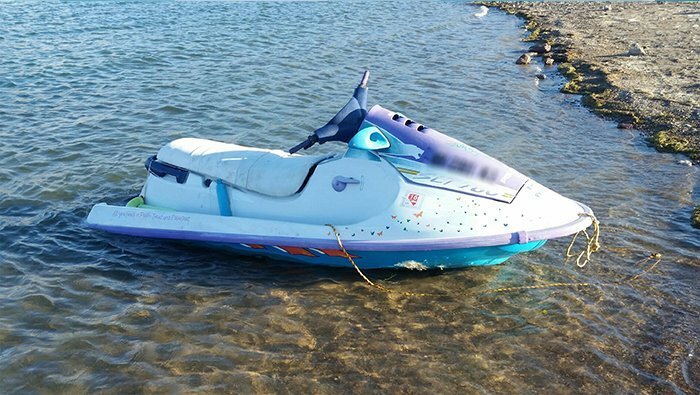 BOULDER CITY, Nevada–Authorities at Lake Mead National Recreation Area are seeking information from the public regarding a personal watercraft that was found unoccupied on Lake Mead Oct. 14. At 2:45 p.m. on Oct. 14, the Nevada Department of Wildlife encountered an unoccupied swamped jet ski near Boulder Harbor. The vessel, which had visible damage to the underside, was towed to shore.